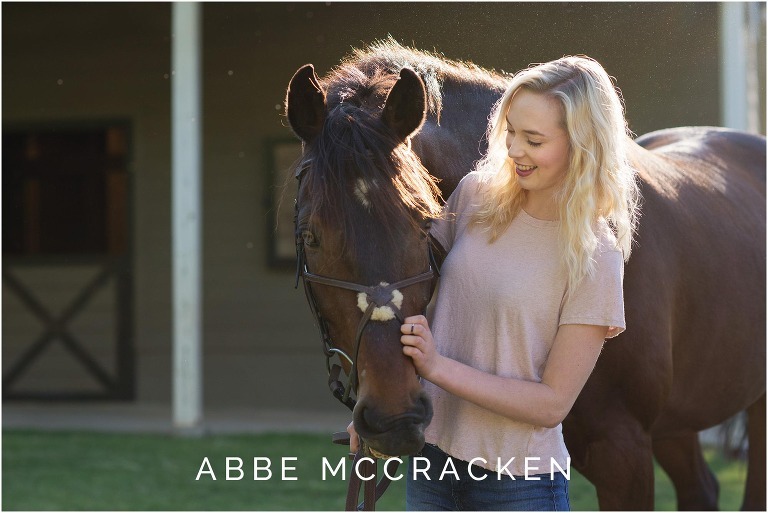 You caught a glimpse of this gorgeous Myers Park high school senior and her horse in my Class of 2018 blog post. Now Emily is at Wofford and I hope, having the time of her life. 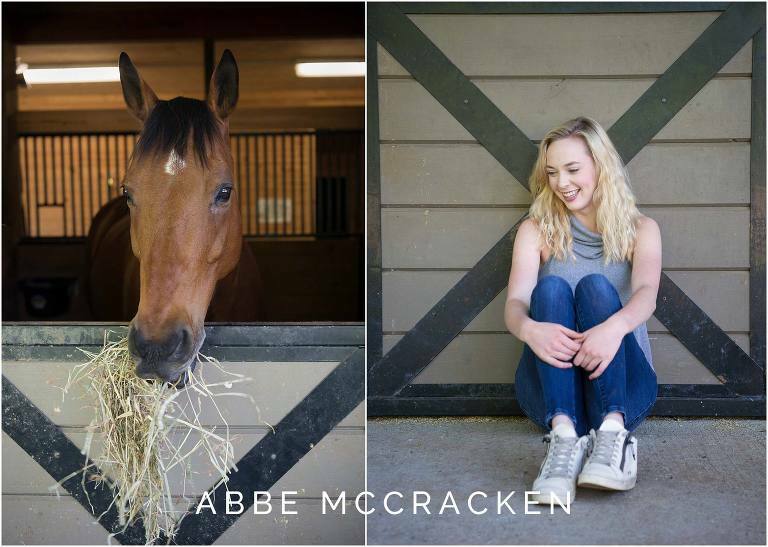 Emily requested photos with her horse for her senior session. I’m an animal lover too and always jump at the chance to include four-legged friends. 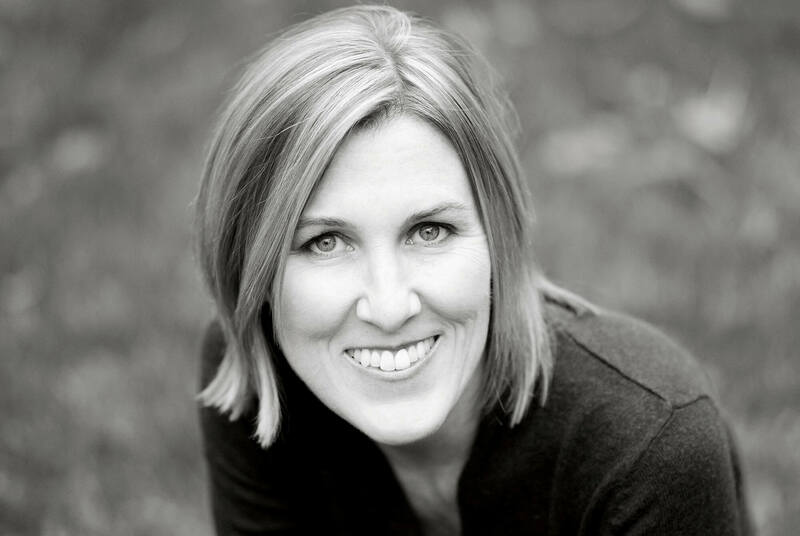 I love the informality and candid spirit animals bring to portraits. Plus, it’s always an honor to observe and document human-animal connections. This one was special. Very special. Their connection was so strong that the entire session felt almost ethereal. 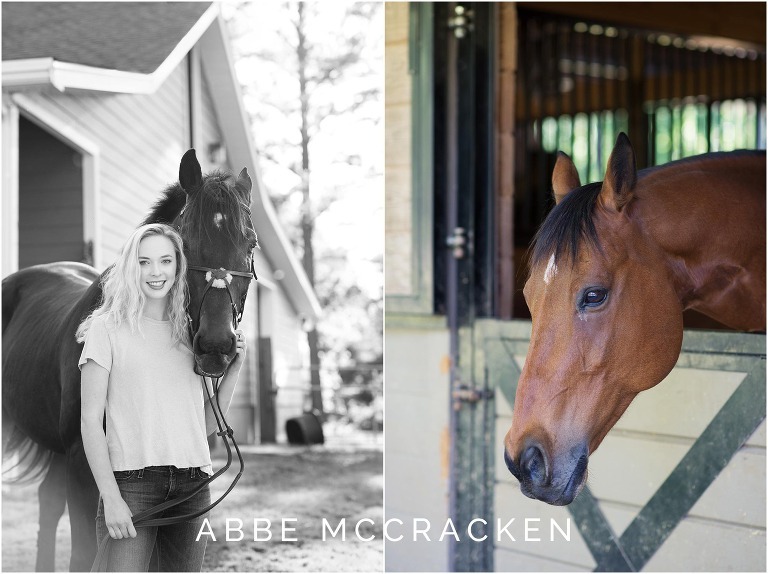 From the perfect weather and sun-kissed backlight, to my stunning subjects and the wide open spaces, this session had everything. It was one beautiful bonding moment after another. Just Emily and her horse. And me sneaking around finding great light, directing a little and taking it all in. 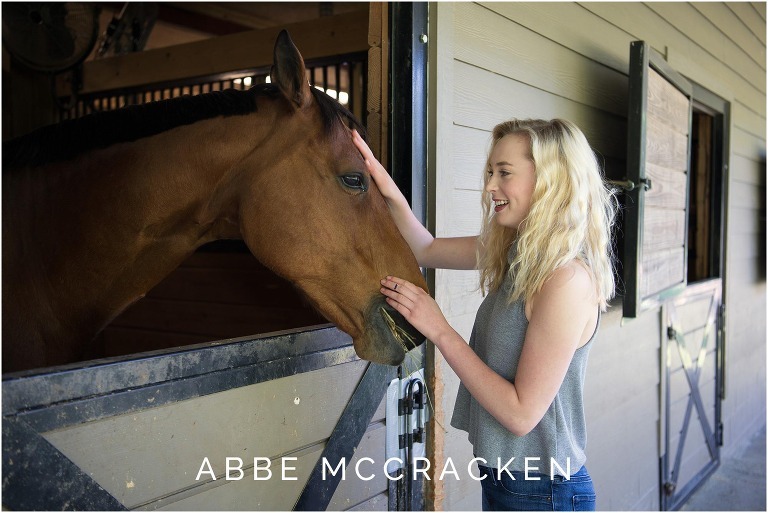 This senior session was photographed at a farm in Waxhaw, just south of Charlotte, where Emily rode and stabled the horse. 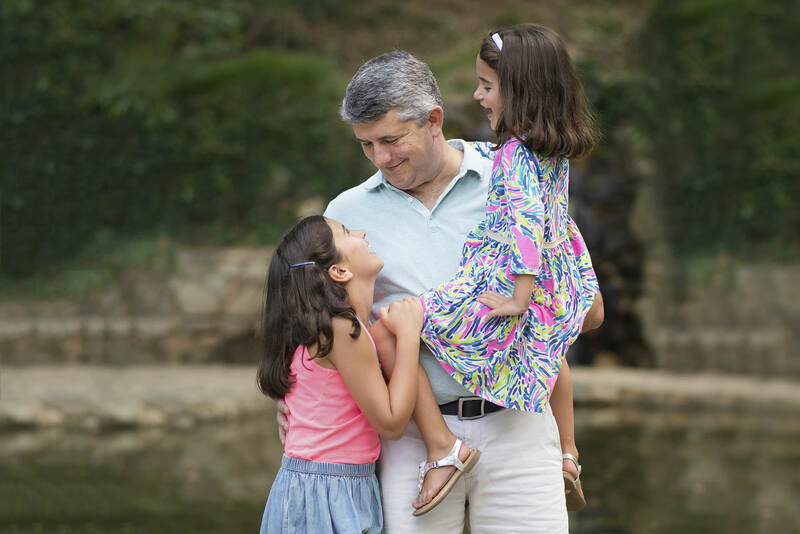 I loved the idea of this session from the moment Emily’s mom contacted me about it. I loved it more when I meet Emily. And even more when I stepped onto the farm. Now my love for it grows every time I revisit the pictures because sadly, Emily’s horse passed away several months later. I know Emily and her family feel the same way I do. We all adore the images and now we treasure them that much more. Thank you Emily for choosing me. I will never forget this perfect afternoon. Being on the farm with you two was such an honor and breath of fresh air. 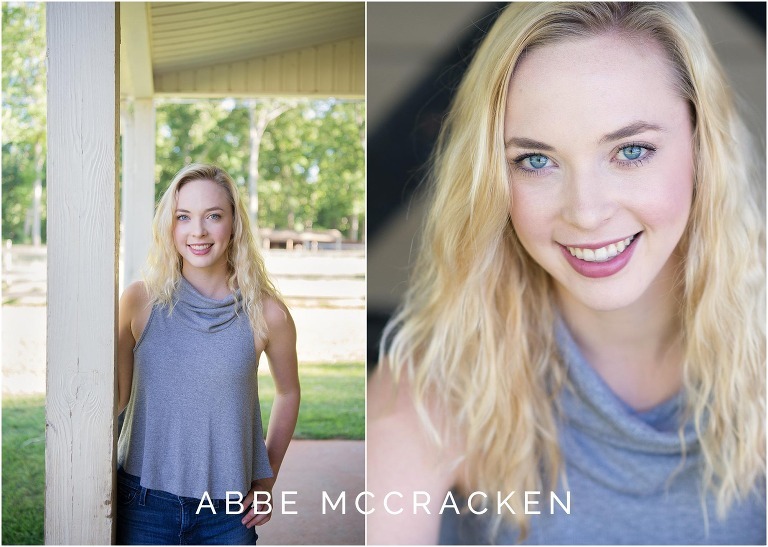 Click here to see my Senior Gallery or here to view more senior sessions from my blog.